Welcome to August! Otherwise known as My Month-Long Birthday Celebration! Therefore, everything below is immediately and forevermore JUSTIFIED. Because if you’re that person who can deny a girl her birthday treats, then how can we ever be friends? It’s nigh on impossible. That’s the Bare Minerals Ready Eyeshadow 2.0 in the shade The Vision. 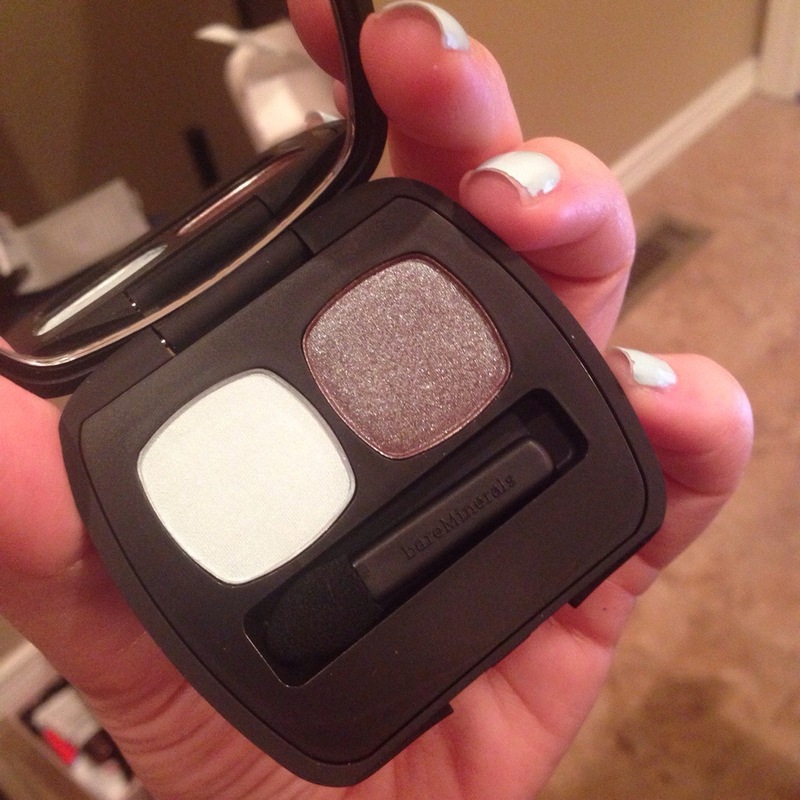 I have never tried Bare Minerals eyeshadows before, and can I just say how lovely they are? I probably shouldn’t have gotten started now because do you know how many colors they have? Like eons worth. This particular one has a mint blue/green on the left (you know, the one completely washed out by my camera), and a duo chrome teal blue/brown/green collab on the right. They go on very smooth, color shows up brilliantly, and they blend out like a dream. I heart them so much! Pretty sure I’ll be picking up a few more of these very very soon. Or else someone needs to be gifting these to me like stat. Have I mentioned this is my month-long birthday celebration? Wellll, it is. If you don’t know what palette this is, then you have been camping in the Siberian Wilderness for far too long. 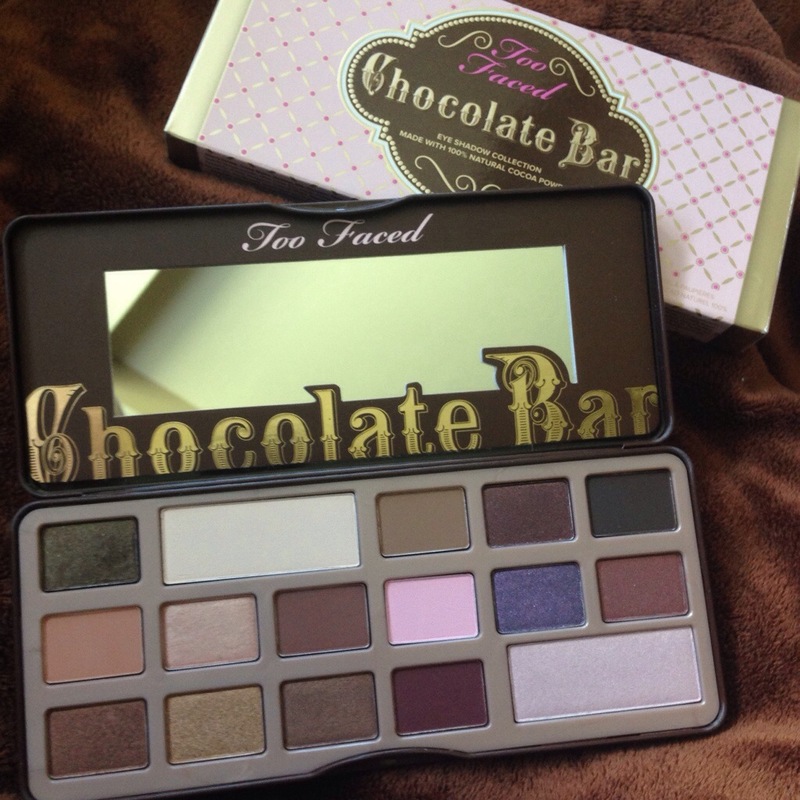 It’s the Too Faced Chocolate Bar, and I’m about 97.95746% certain I’m the last person in the world to own it. Well, except for the cavewomen and nomads. But after them, definitely the last. I went back and forth for months deciding if I should or should not buy it. At first glance, other than the obvious few colors, it looks like a bunch of brown eyeshadows. And I didn’t need a palette full of brown eyeshadow. However, my sister got it, then my best friend got it, and then I started to feel like I was missing out. Fiiiiiiinnne. I bought you. And now I love you. Dammit. 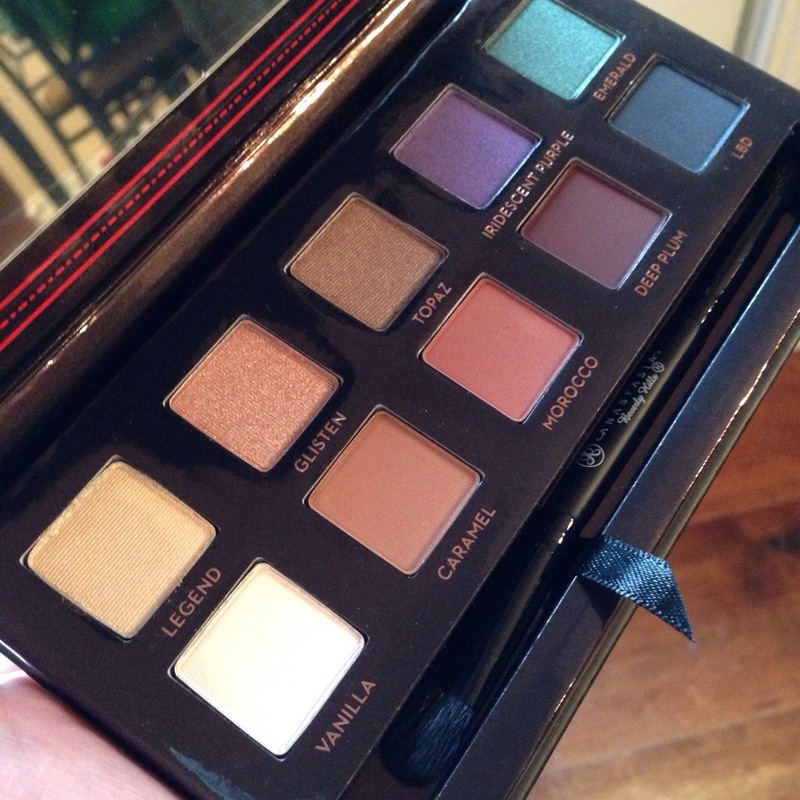 This palette is officially one of my most favorite ones. The colors are beautiful, and I can actually get quite a few looks out of it despite all the brown. And honestly, the browns are very different from one another anyway – much more different that I initially thought. There’s a mix of shimmers, mattes and glitters and every last one of them smells like chocolate. Not fake, artifically flavored chocolate, but real cocoa powder. I don’t know if that’s the green light to go on and eat the dang thing, but I guarantee someone’s dipped their finger in and took a lick. And don’t be looking at me like I’m guilty cuz I have too much hypochondria in my brain to be sticking my tongue in eyeshadow. Good lord. Did I need this? 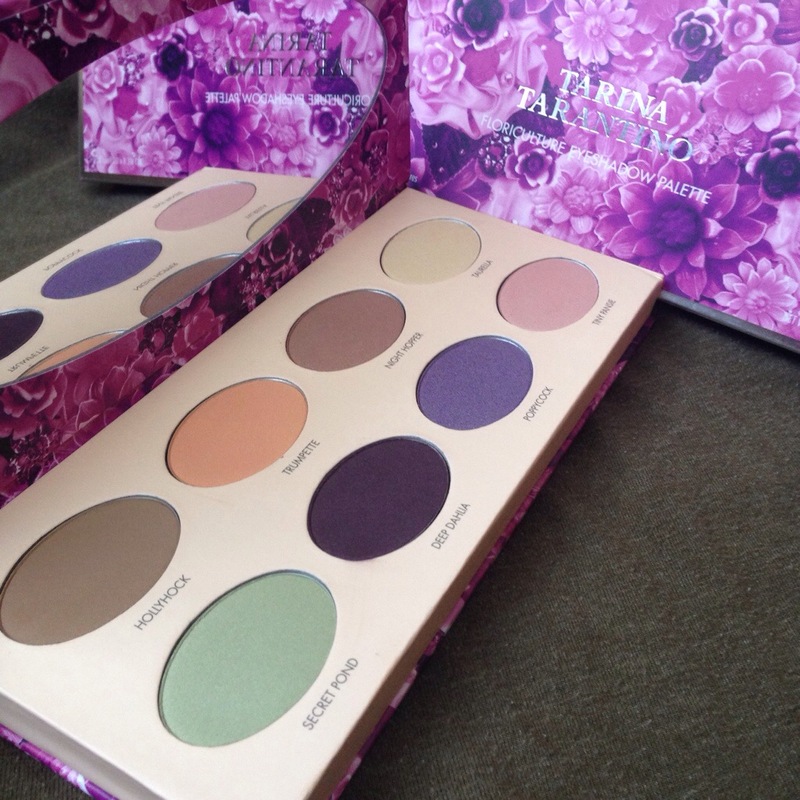 This is the Tarina Tarantino Floriculture palette. First of all, your eyes are not deceiving you. The eyeshadow pans are ginormous. You get a lot of value for your money with this one. The shades are also very pretty, delicately shimmery, perfect for my old lady eye skin. The only complaint would be the absense of a matte crease or matte highlight; however, I’m not peeved enough to never use this palette again. Plus, the fuschia floral packaging is beautiful and looks ultra fancy sitting in the wicker basket on the back of my toilet. It is limited edition, but I’ve been seeing it around for awhile so not sure how long it’ll still be available. I’d say play it safe and go ahead and put it in your shopping cart immediately, because although the palette may stick around for a little longer, the apocolypse could happen any day now. And you need this to help get you through. These are my absolute favorite eyeshadows in all the land. That’s not an exaggeration. I own about 25 single pans now (all expertly arranged in my Z-Palette), and every single one of them is amazing. I haven’t had fallout issues, blending issues, pigmentation issues. In fact, if these were people, they’d be your best friend, your partner, your lovahhh. Serious. That didn’t get weird there for a second, did it? Anyway. 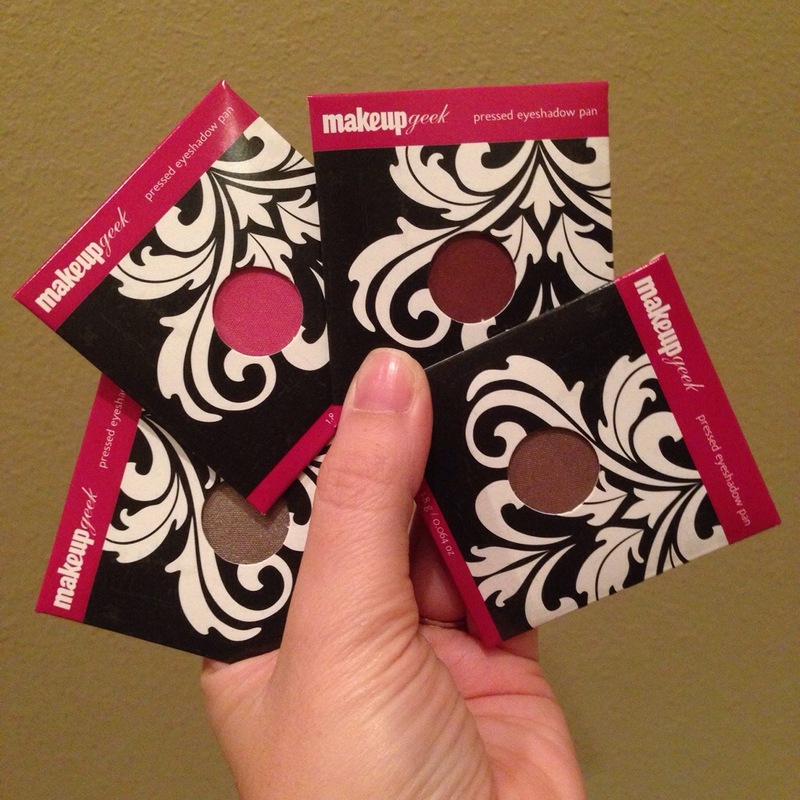 I highly highly highly suggest a shopping trip to MakeupGeek.com and buy a few of these. I challenge you not to be impressed. Plus, for the mere price of $5.99, I can’t imagine you wouldn’t want a hundred of these. Well, wait, that’s $600. So maybe not a hundred – at least not all at once. On a side note: math. Twenty-two years since graduation, and I. STILL. GOT. IT. I’m not sure when this debuted but I’m thinking it was just a few weeks ago. It’s the Amrezy palette by Anastasia Beverly Hills. Isn’t it lovely? Those jewel tones though. I die. I die! I haven’t used all the colors yet cuz it literally came in the mail two days ago. But so far everything works great. At first glance, I thought the Caramel shade would be too dark for my crease, but it actually went on very natural. I’m hoping the Morocco (orange) shade is just as good. I’m wearing the Topaz on my lid today with Deep Plum in the outer v, and I swear if Vogue isn’t calling soon, then something is wrong with Vogue. Well, that’s it guys. Are you tired now, cuz I am. It’s pajama time! Have a great weekend.